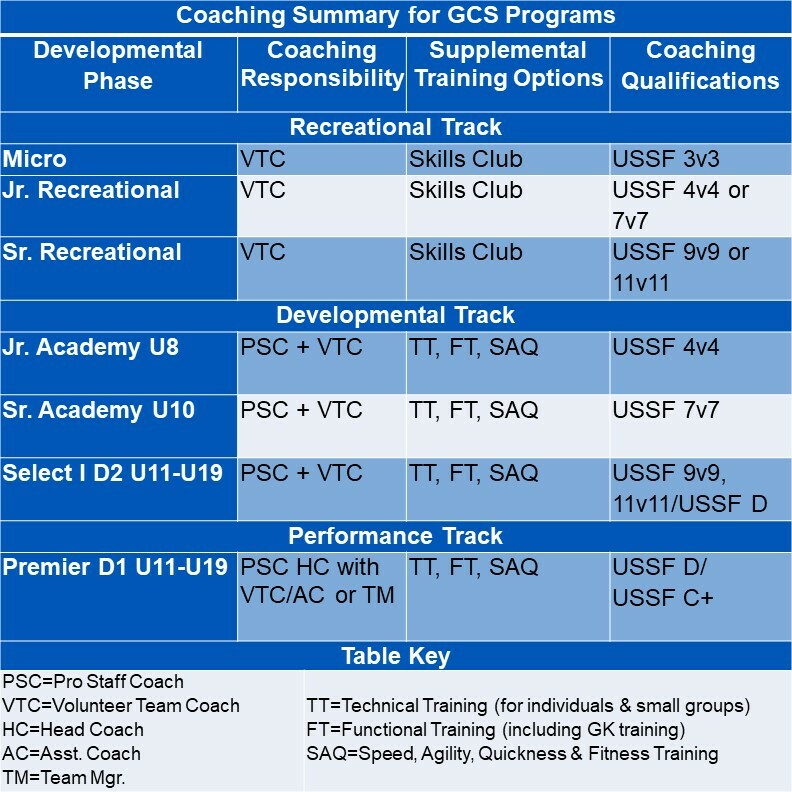 Gulf Coast Soccer is a leader in Coaching Development by providing an educational pathway, resources and mentoring for all coaches throughout the club at all age groups and playing levels. As a full-service club, we have coaches whose experiences range from beginning volunteers in our Recreational program to full-time professional licensed coaches in our Academy and Competitive programs. While the level and experience of coaching are commensurate with the age and playing level of the players, we are fully committed to continuous club-wide coaching development for all coaches. Highly-skilled and experienced professional coaches and trainers leading the Competitive and Academy teams. Licensed and qualified volunteers coaching in the recreational programs and assisting staff coaches in the Academy and Competitive programs. Access to in-house coaching education and development for all staff and volunteer coaches that are designed to support their long-term coaching development. Oversight and support from the club Technical Director and staff coaches. If you are interested in learning more about coaching at GCS, please contact one of the Program Directors or our Technical Director for more information. We look forward to hearing from you and learning more about your coaching aspirations and how we can work together for the benefit of our players.